Yes! The book is ready to launch. It is now up on Amazon for the Kindle, but the official release date will be Tuesday, March 29th. For those of you who supported my campaign, the book is available TODAY for a FREE Kindle download on March 28th, one day only, so be sure to get out and download a copy on Monday. Thank you for your support. A notice will be sent from Kindle Scout on March 28th telling you the book is ready to download. If you are on Kindle Unlimited, you may read the book for free at any time for the next few months, and possibly beyond. My book launch page will be active on March 29, 2016. You will find it this link after midnight PDT. The paperback copy of the book will be coming in about a week. It takes a little longer to process through CreateSpace and then to Amazon before it will be on Amazon’s sales pages. Please, please… if you download a free copy and read the book, please post an honest review on Amazon and/or Goodreads, whether it is favorable or not. Amazon policies request that you state you are reviewing a free copy so readers know you received a preview copy. Thank you. Hi, Guys! I have a little news that is exciting for me and I am really going to need your help to pull it off. Have you heard of the Kindle Scout program? No? Well, simply put, it allows the reader the opportunity to read a few chapters of a new, unpublished book and vote for the book if they enjoy it and want to read more. If the book gets enough votes, then it might be considered for an Amazon publishing contract. That’s a really attractive offer to me as a writer because I want to reach as many readers as possible. So, I am delaying the publication of my new book, O’CEAGAN’S LEGACY in favor of submitting to the Scout program. I have gotten notice that my book has been accepted and will be available for readers to preview and vote on as of February 11, this Thursday at 12:01 a.m. EST. Over the 30 days after it launches, you can cast a vote for the book, talk to your friends about it, encourage them to read it and vote, then pass it on to their friends. Post the link on Facebook. Tweet it! Spread the word however you can. 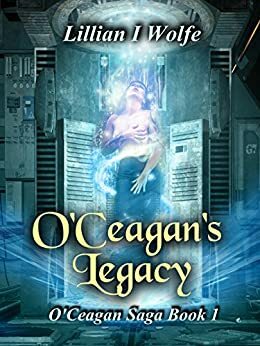 I will be posting the link for O’CEAGAN’S LEGACY when it goes live on Scout on February 11. So I hope I can count on you to help me to have a successful launch by taking the time to do this, passing the information along to your friends and letting people know about the program. It’s a win-win for all of us.